90,182 people cram into the Los Angeles Memorial Coliseum to see what is sure to be an epic stand-off between two great teams. The temperature is 29 degrees Celsius, the hottest ever Super Bowl, and the fans can’t wait for the game to begin. In the early stages of the first quarter, Brady was struggling. His first throw of the game was intercepted and the Patriots were forced to use two timeouts as they tried to adapt and adjust to the Rams’ game plan. Thankfully Brady had wide receiver Julian Edelman to get the offensive game flowing. He picked Edelman out with a 25-yard pass to put the Patriots within field goal range which Stephen Gostkowski successfully converted from 42 yards to set the score at 3-0. For the rest of the first half, there was little in the way of offensive action. Third-year quarterback Jared Goff looked overwhelmed by the Patriot’s defensive strategy, getting sacked four times. Goff had possession for just 10 minutes compared with 20 for Brady, highlighting his lack of ability to convert plays into first downs. 40 minutes of football played and all there was to show for it was two field goals. This would not be the first Super Bowl without a touchdown however, as rookie running back Sony Michel scored his sixth touchdown of the playoffs, and the most important one of his career so far. Goff and the Rams had no reply. The Rams offence that scored an average of 32.9 points per game in the regular season could not score even one touchdown. With four minutes left in the fourth quarter, there was a glimmer of hope however for an upset. The most important number though is 199. Without this one, the football landscape would undoubtedly look completely different. 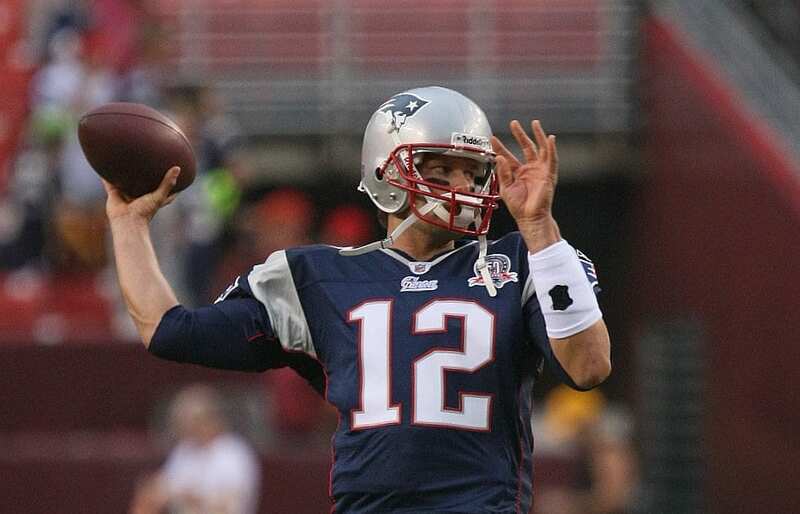 199 is the pick of the NFL draft in 2000 that the New England Patriots used to sign Tom Brady. After his name was called out, Brady reportedly went to Robert Kraft, the Patriots owner, looked him in the eye, and said “I’m the best decision this organisation has ever made”. Nine Super Bowl appearances and six Super Bowl wins later, it seems he was right. Maroon 5 confirmed in the build-up to the Super Bowl that Spongebob would be involved and the stage was set for an incredibly touching moment. Think then of the disappointment when the introduction to the song was played for mere seconds, only to introduce Travis Scott’s Sicko Mode.